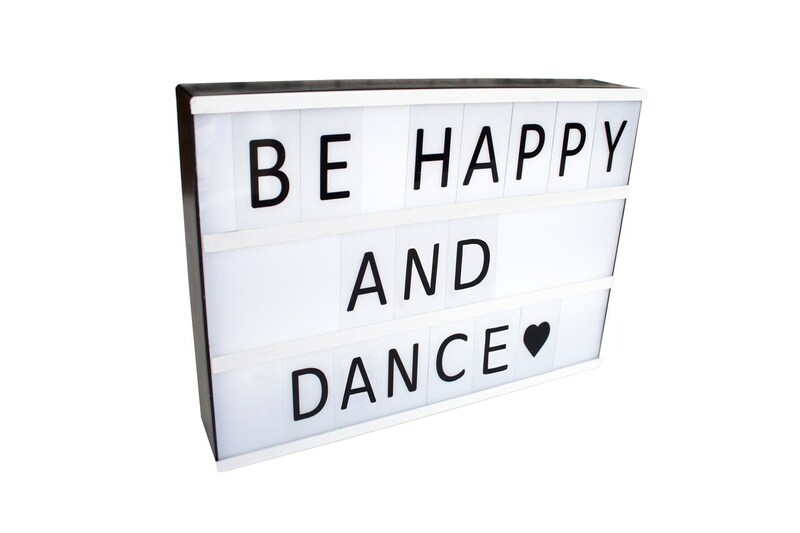 Your very own customisable bright cinema style light box! 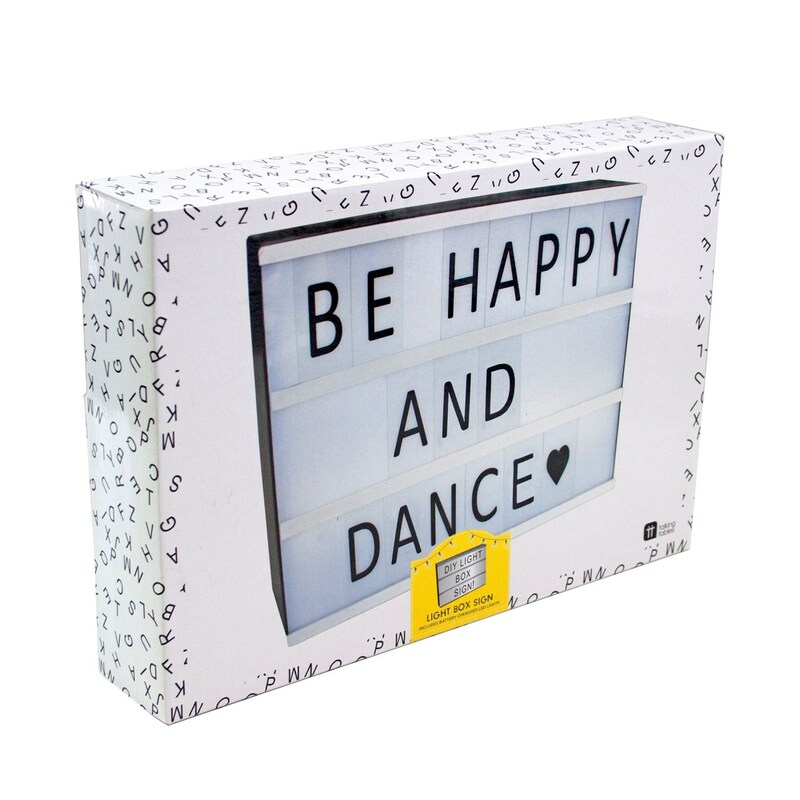 This lightbox comes with 73 plastic tiles, so slide in your letters, numbers and symbols to create your unique message. Change as often as you like to suit your mood or for a specific event! Can be wall mounted or free-standing. Maximum 8 characters per row, with 3 rows in total. 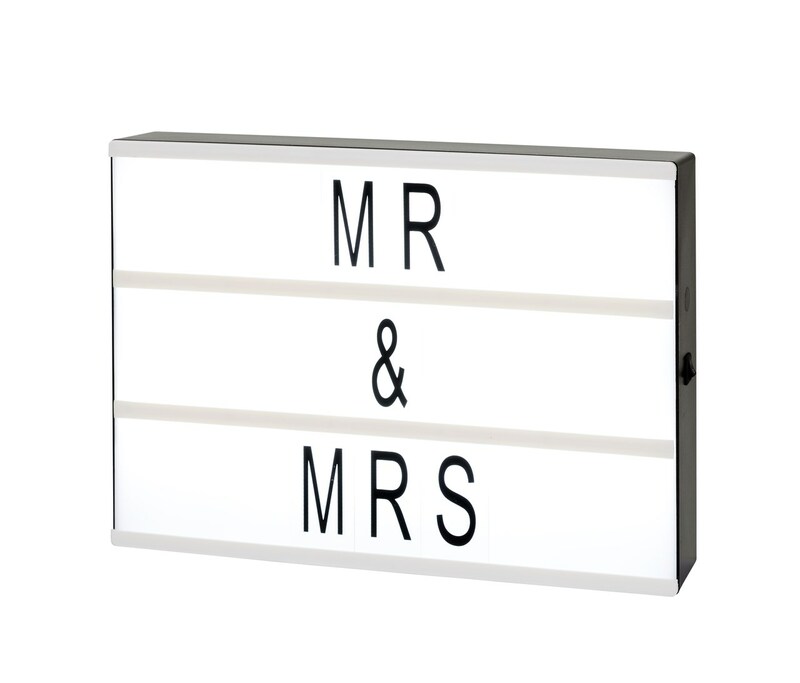 This lightbox requires 6AA batteries which are not included.